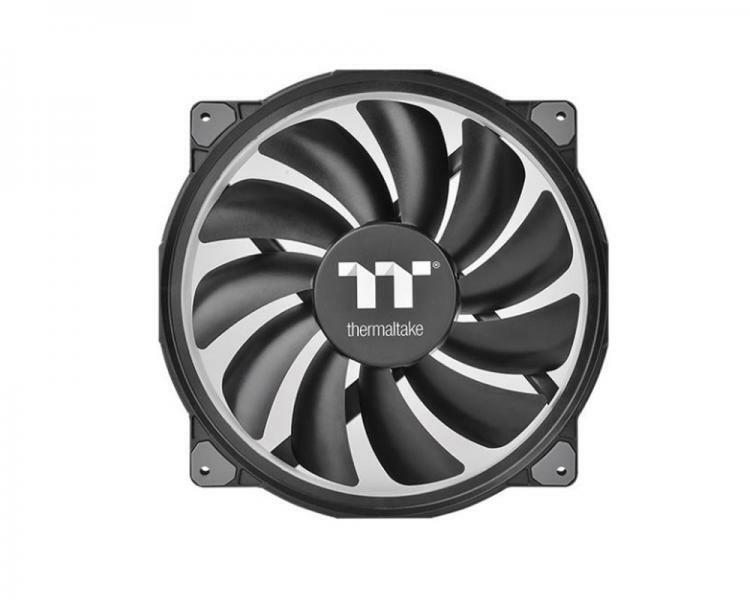 Thermaltake Technology completes the Riing Plus RGB Series of cooling fans with the addition of the 200mm variant – the Riing Plus 20 LED RGB Case Fan TT Premium Edition. 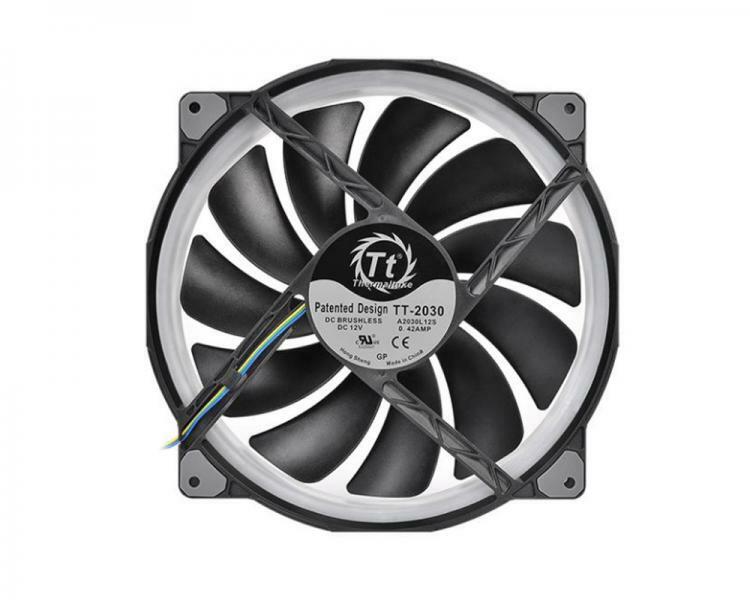 It is a 200mm PWM fan with customizable RGB illumination, perfect for moving massive airflow in cases with style. The Thermaltake Riing Plus 20 RGB features hydraulic bearing, compression blades, and 16.8 million colours on its LED ring with 12 addressable LEDs sets (24 addressable LEDs). 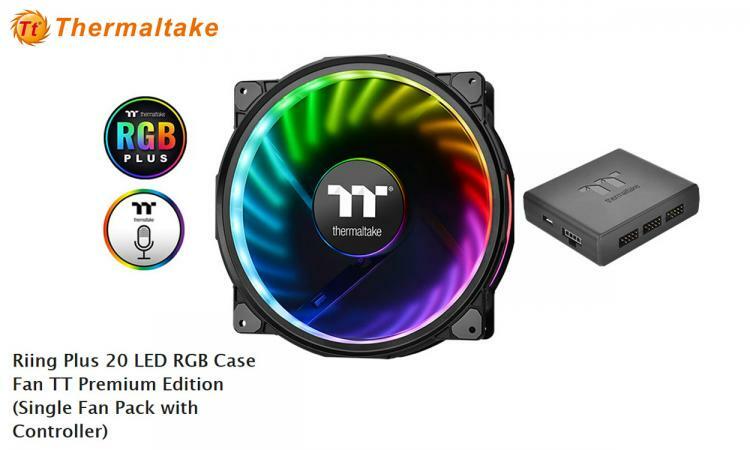 It also supports Thermaltake’s patented TT RGB PLUS Software and AI interactive voice control. TT RGB PLUS: Riing Plus RGB Series supports the TT RGB PLUS Ecosystem of intelligence lighting featuring addressable LED lighting along with synchronization option with other Thermaltake products. TT RGB PLUS Software and App: Monitor fan performance, customize lighting effects and adjust fan speeds through a dedicated software and app. Thermaltake AI Voice Control: Using the TT RGB PLUS app, users can adjust settings and activate/deactivate functions via voice control. Digital Lighting Controller: Add up to 5 devices into one controller, up to 16 controllers to the software offering full lighting control on all supported devices. 11 Fan Blade Design: 200mm fan with unique 11 blades design is engineered to generate higher airflow without compromising on the ultra-silent operation. Hydraulic Bearing with Low-Noise Design: Extends lifespan and lowers noise. Built-in Anti-Vibration Mounting System: In-mold injection anti-vibration padding on the fan’s frame. Thermaltake Riing Plus 20 LED RGB Case Fan TT Premium Edition comes in a single pack with a controller. Now available at the TT Premium Store with an MSRP of $59.99. 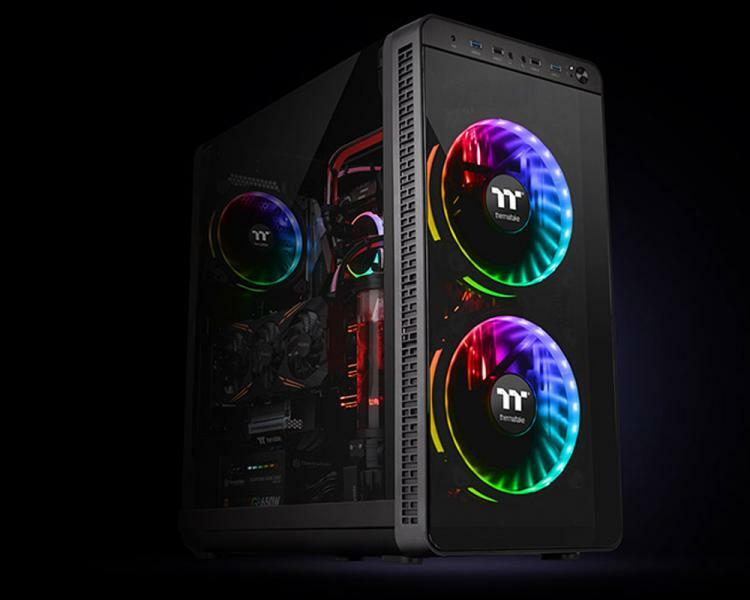 For more information on the Thermaltake Riing Plus 20 LED RGB Case Fan TT Premium Edition, visit the product page here.